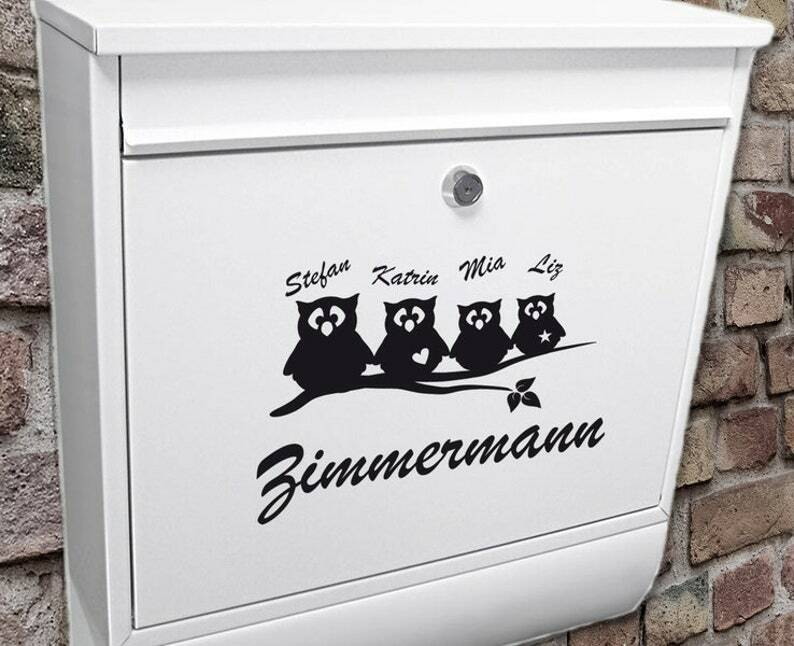 With this great letter box sign every member of the family gets their own owl (up to four owls, more available on request). The motif has a size of 20 x 15 cm. The color and the names are customizable. Please indicate your desired colour and the desired names when ordering. The available colors can be found on the color chart added to the image gallery. The film used is very thin and cuddly, so that it appears on the base almost as painted. A detailed, illustrated assembly instructions and a test sticker are included in the scope of delivery so that you can easily assemble the sticker. 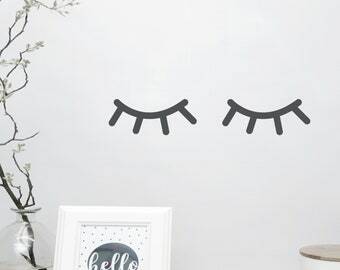 The vinyl film can be mounted on wallpapers (e.g. : woodchip), tiles, glass, wood, plastic, metal and even on car paint. All stickers are made of special Matt shiny vinyl foil. Letter box Name label "Pigeons." Netter Kontakt, schöner Aufkleber, schneller Versand. Danke! Bumper sticker, Wedding "Mr. & Mrs", Sticker, tattoo.